Wrapping production on "It's Been A Weird Week" (2017). Stanley Swindling ("Stan") and Brittany Grant ("Kate") in "It's Been A Weird Week" (2017). Produced three short films on a microbudget, operating as director, writer, and lead actor for all. Coordinated with Orlando businesses and local offices to facilitate on-location shooting. Wrote two feature-length screenplays in addition to multiple short films. Perceived effective methods for translating ideas into accessible products. Distilled large projects into definable tasks, timelines, and procedures. Motivated teams of people to execute a variety of tasks for a unified outcome. Coordinated with Orlando businesses and local offices to facilitate on-location shooting. Ensured a stress-free, hospitable work environment for all cast and crew on sets. 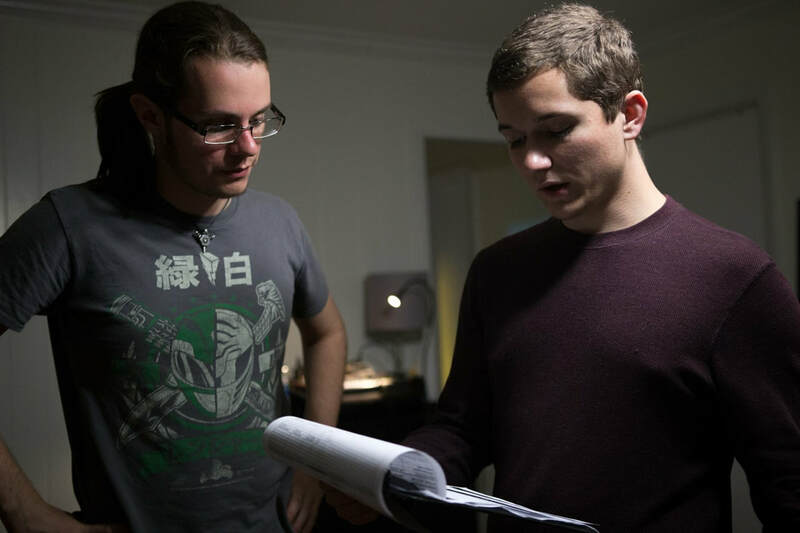 First Assistant Directing on the set of "Retention" (2018). First Assistant Director on "The Escapist" (2018). The UCF Film BFA Class of 2018. Responsible for helping to determine inclusion for films submitted to the festival. Screened submissions in narrative features and narrative shorts. Submitted extensive evaluations to festival programmers based on content and artistic merit. Added to "Forward Team" in Aug 2018, used to make the final judgment on festival inclusion. Responsible for maintaining an efficient, organized office environment. Operated at the Front Desk and acted as the visible face of the company during shifts. Answered front desk calls and provided specialty printing and equipment for clients. Led workshops on leadership, teamwork, and other valuable soft skills. Acted as the senior most Involvement Consultant for over one and a half years. Collaborated with a board of officers to spearhead the creation a new registered student organization for the University of Central Florida campus. Acted as Co-President of the only LGBTQ+ club on the largest public university campus in the nation. Coordinated weekly meetings and social events for a body of over 60 members. Fostered a positive social environment for LGBTQ+ students. The founding Officers Board of Pride Student Association (PSA), photographed in August 2017. The Campus Activities Board (CAB) Directors for the 2015-16 school year, photographed in April 2016. Hosted over a dozen microbudget events over the course of one academic year. Coordinated dozens of volunteers and attendees to program events engaging issues of activism and social justice. Collaborated with other programming directors to host co-sponsored events that reached out to niche audiences. Ensured the existence of programming dealing with topical current events in an evenhanded manner which allowed for audience feedback. 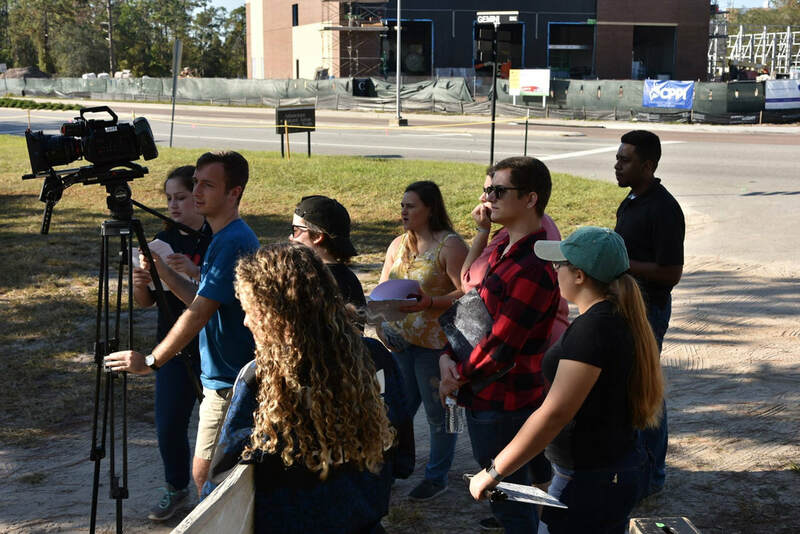 Responsible for promoting two screenings of a Florida Film Festival entry (feature-length documentary) to the Central Florida area, including face-to-face and social media engagement. ORLANDO - Haley Zilberberg and Stanley Swindling are two University of Central Florida students that identify as lesbian and gay, respectively. They're also two UCF students that competed in the Mr. and Miss UCF Scholarship pageant Feb. 3 and 4. Swindling won first runner up and fan favorite and Zilberberg won best talent.